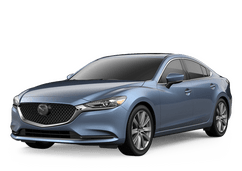 Between Mazda and our dealership, Bob Baker Mazda always has special offers that you can take advantage of right here in Carlsbad. With our vast Certified Pre-owned Mazda inventory at Bob Baker Mazda, you can get a pre-owned Mazda with all the benefits of a factory warranty. Getting the service that your Mazda needs is easy when you count on the knowledgeable and experienced service team at Bob Baker Mazda. Bob Baker Mazda is here to provide a wide variety of Mazda vehicles to the Carlsbad area. Our inventory is stocked with all of the top models from Mazda lineup. Mazda has earned a reputation for providing fuel-efficient and affordable cars with an added element of sporty performance. At Bob Baker Mazda, car shoppers can test drive cars like the Mazda3, Mazda6, Mazda CX-3 and Mazda CX-5. In addition to our inventory of new Mazda models, Bob Baker Mazda offers an impressive selection of pre-owned vehicles from a variety of brands. Mazda owners in the Carlsbad area will be able to take advantage of a wide variety of excellent services at Bob Baker Mazda. Our service center is here to take top care of your vehicle. If you are in need of an oil change or any other routine maintenance, the Bob Baker Mazda service center can help. Schedule an appointment and let us keep your car in top condition. Bob Baker Mazda is here to serve our Carlsbad customers. If you live in Carlsbad, Oceanside, Vista, Escondido, San Diego or anywhere else near Bob Baker Mazda, stop by to learn more about everything we have to offer.